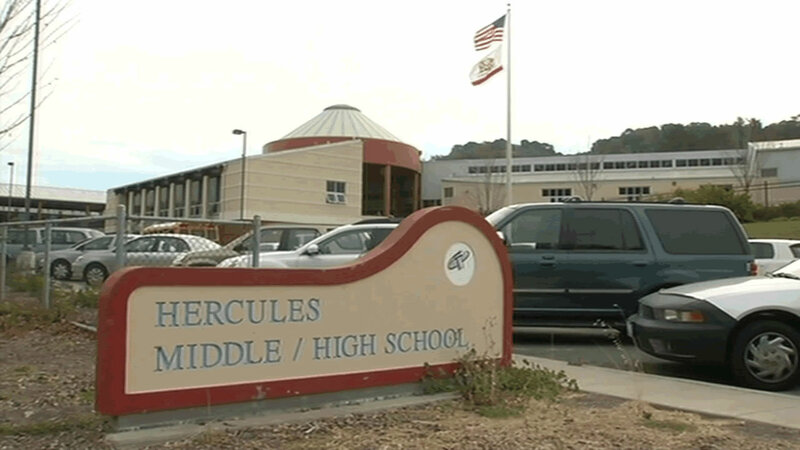 HERCULES, Calif. -- A Hercules High School student was arrested after stating Thursday he was planning to "shoot up the school," a threat confirmed by documents found during a search of his home, police said today. Hercules police said at 8:35 p.m. Thursday an employee from Hercules High School at 1900 Refugio Valley Road reported that he heard information regarding a teen's school shooting threat. A 15-year-old student reportedly told another student that he would "shoot up the school" today, police said. When the student was identified, his parents were notified of the allegations and they brought him to the Hercules Police Department for an interview. Police learned the motive for his threat might be related to bullying. Documents found during a later search of the student's house supported his intention to commit a shooting at the high school, police said. An investigation is still ongoing, police added. The teen has been taken into custody and booked into Martinez Juvenile Hall.